Concept sketch of Insta-bility Performance. Artist submitted image of Cat Mahari. Insta-bility, a choreographed performance by Cat Mahari, and Frank Monki Pham, centered on exploring personal identity and the societal relationship between the environment and our being. This piece was informed, and shaped, by Minh DuPha’s large scale canopy installation of the same name. This performance took place in Oppenstein Park on Thursday, September 3rd between 11:30 and 1:30. Cat Mahari is a professional movement artist, current artist in residence at Charlotte Street Foundation, and a recording artist. 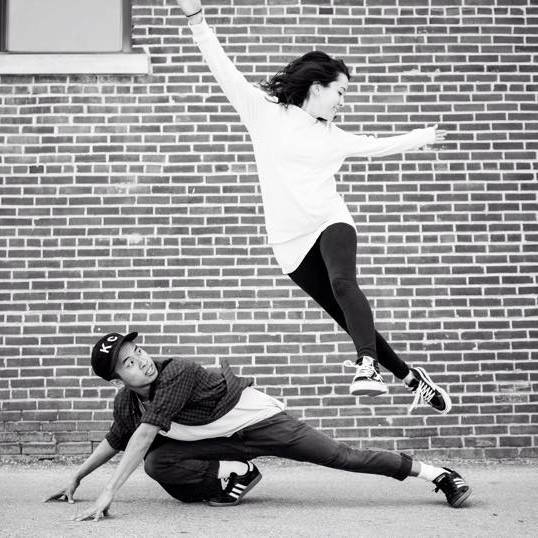 Frank Pham is a professional dancer, aspiring dance therapist, and part of the dance group, “Boogie Munstars Family” founded here in Kansas City.